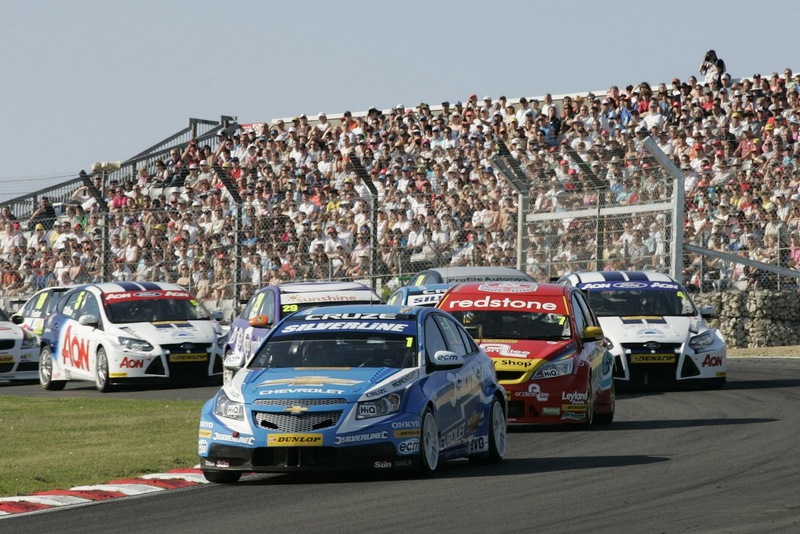 An unprecedented five drivers – Matt Neal, Jason Plato, Gordon Shedden, Mat Jackson and James Nash – will all go into the Dunlop MSA British Touring Car Championship’s nail-biting final round of 2011 at Silverstone in Northamptonshire in a fortnight’s time (15-16 October) still able to be crowned Champion following yesterday’s penultimate three races of the season at Brands Hatch in Kent. 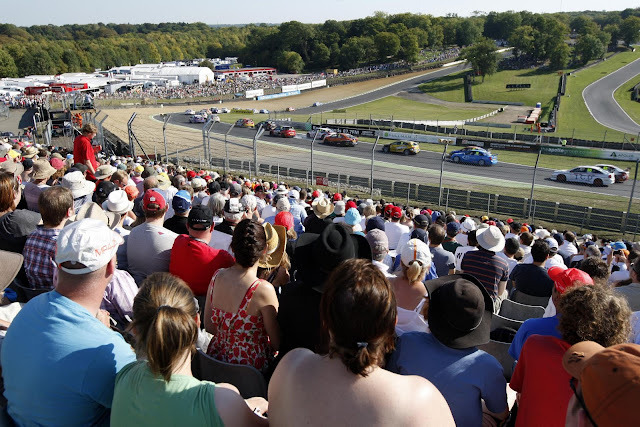 In hot weather and in front of a huge trackside crowd plus a live ITV4 audience, Oxford’s Plato won both of yesterday’s first two races from pole position in his Silverline Chevrolet Cruze to move briefly past Neal and Shedden to the top of the standings. Both his Honda Racing Team rivals needed to make pit stops to have punctured tyres replaced on their Civics in the first race and could only manage seventh and eighth spots in the second. 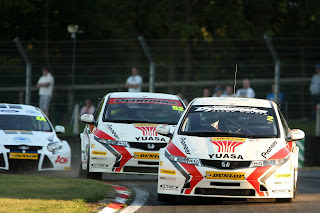 But in the day’s final encounter, contested by a record-equalling 29-car BTCC grid, they struck back as Worcestershire’s Neal led Fife’s Shedden across the line to achieve a 1-2 result for their Honda squad. 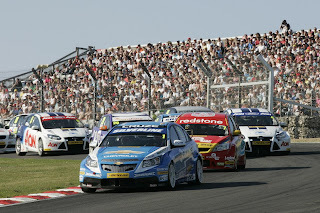 Plato was back in sixth meaning Neal had regained the championship lead – the 11th time it has changed hands this season. Meanwhile second place results in both opening races followed by fifth in the third for Warwickshire’s Jackson in his Airwaves Racing Ford Focus have helped keep alive his title hopes. 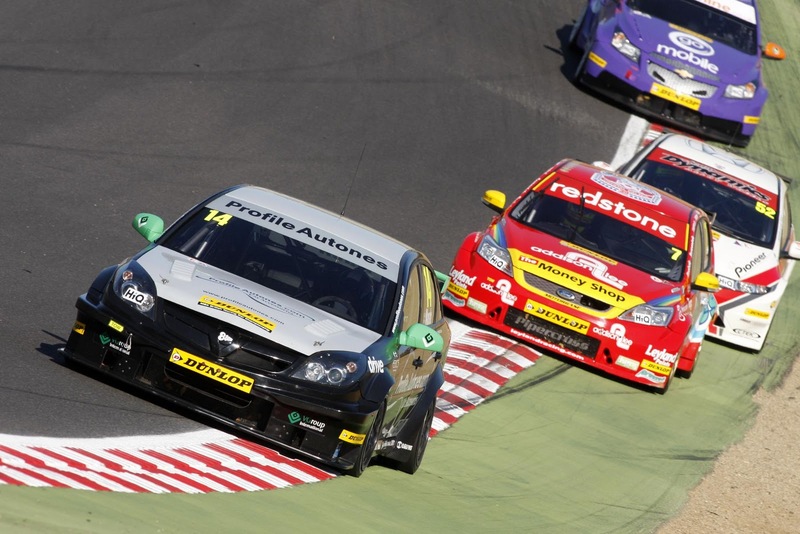 Fourth, sixth and third places in his 888 Racing with Collins Contractors Vauxhall Vectra mean Buckinghamshire’s Nash also remains in with a chance. 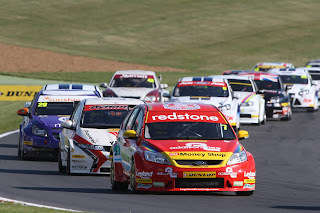 The five will go to Silverstone in two weeks (15-16 Octobr) in the following order – Neal, Plato and Shedden (tied), Jackson and Nash – with 44 points covering them and a possible maximum of 52 to play for in the finale. Nash and Jackson will also thrash it out for the Independents Trophy for drivers in privateer teams – 17 points separate them with a potential 45 still available from the season’s final three races. Meanwhile yesterday also saw Plato’s team-mate Alex MacDowall and Tom Onslow-Cole in his Team Aon Ford Focus stand on the BTCC podium as they each achieved a third place finish, in races one and two respectively. 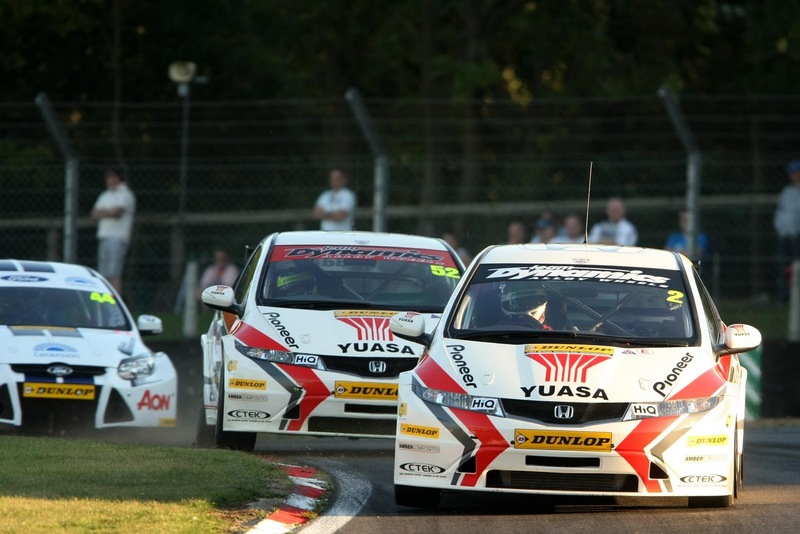 Elsewhere, Honda/Dynamics and the Honda Racing Team have virtually assured themselves of the BTCC’s coveted Manufacturers/Constructors and outright HiQ Teams championships. But it is still very much to play for in the Independent Teams Trophy, with just 15 points between leader 888 Racing with Collins Contractors and Airwaves Racing and a possible 45 on offer at Silverstone.